Ultrasonic testing devices have long been established in the field of predictive maintenance to detect leaks on compressed air systems. These devices usually record a frequency range around 40 kHz. 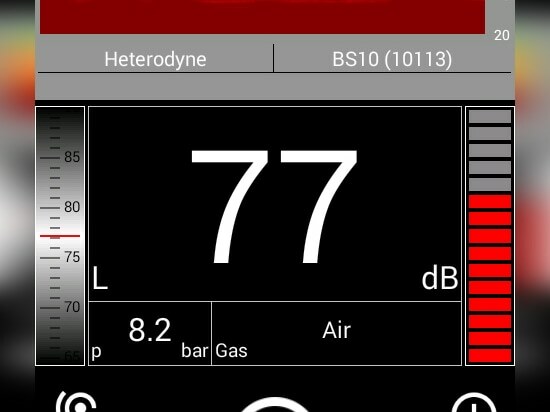 SONOTEC Ultraschallsensorik Halle GmbH is breaking new ground with the SONAPHONE ultrasonic testing device. The main difference between this device and the previously available devices is the broadband technology of the sensors in a frequency range from 20 to 100 kHz. This makes applications like automatic leak analysis more reliable. 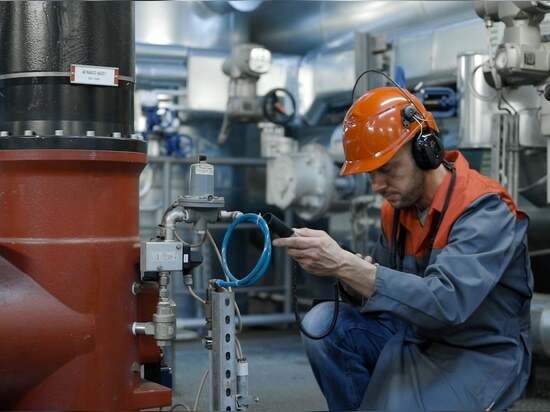 Leak detection on industrial supply systems for compressed air and industrial gases for the purpose of energy saving and plant safety is by far the most common application of ultrasonic technology. This is because compressed air is one of the most expensive energy sources and is responsible for 10% of industrial energy costs. It is estimated that around 30% of this expensive energy is lost simply due to leaks in compressed air systems. This makes detecting and eliminating leaks worthwhile as part of a plant wide energy management program. A significant advantage that the broadband range technology offers is evident even when searching for a leak. 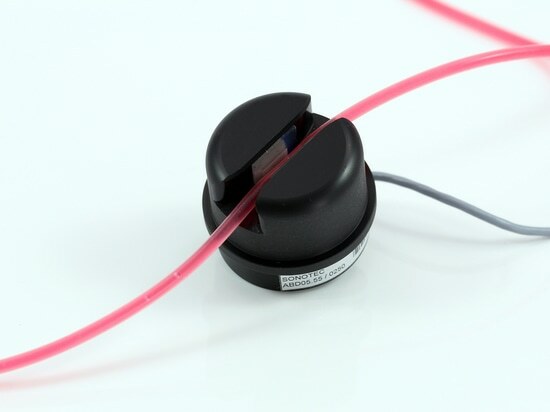 Earlier ultrasonic detectors use piezoceramic probes, which are resonant in a very small frequency range around 40 kHz. 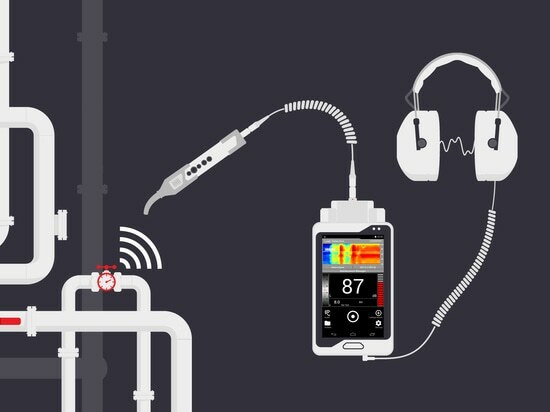 Because leaks emit broadband ultrasound, it is possible to find them with a 40 kHz detector. However, the 40 kHz probes can also pick up a great deal of interfering ultrasonic signals. New broadband sensors with very sensitive ultrasonic microphones and high sampling rates improve and simplify leak detection for the user. 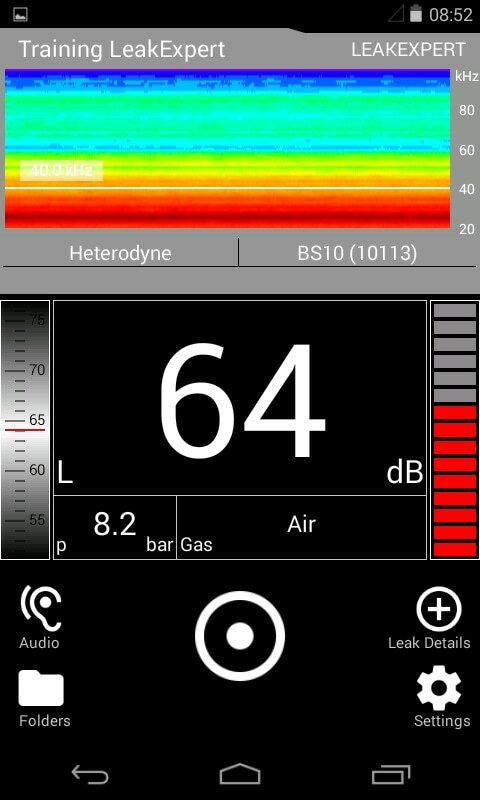 In challenging, loud environments, the spectrogram of the display on the SONAPHONE immediately informs the user if there is an interfering ultrasound and at what frequency the interference is present. 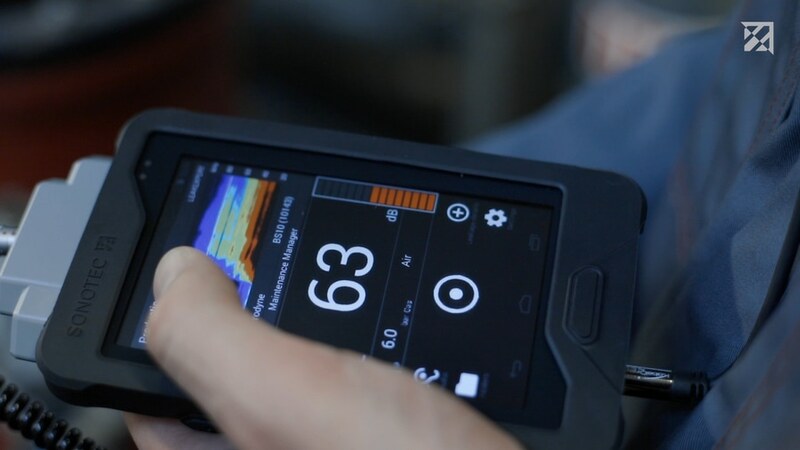 Using the touchscreen, the user can simply move the frequency that they want to hear out of the range of the interfering ultrasound signals, enabling them to accurately detect leaks in these challenging environments. After the leak has been detected, the broadband sensors offer another advantage. 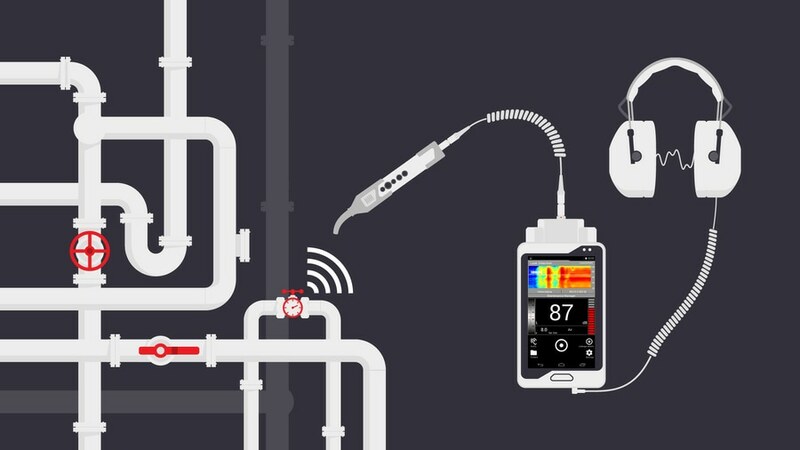 They enable the leak not only to be found, but also to be automatically analyzed. 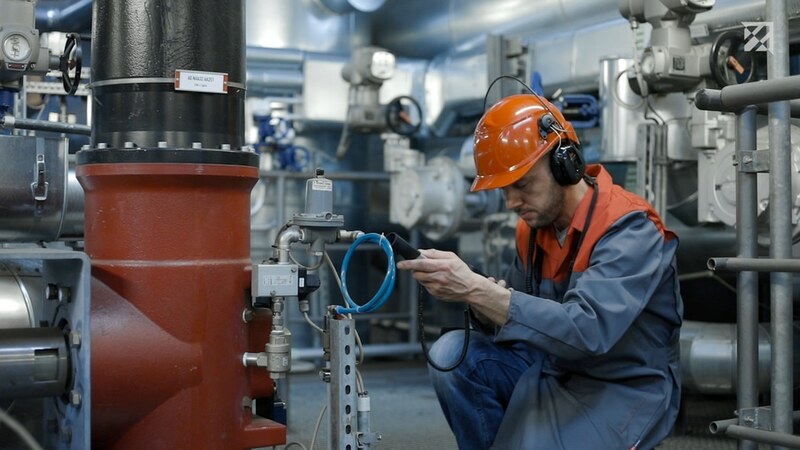 To correctly evaluate the leak, the user enters the system pressure and the type of gas into the device and runs the LeakExpert analysis application. 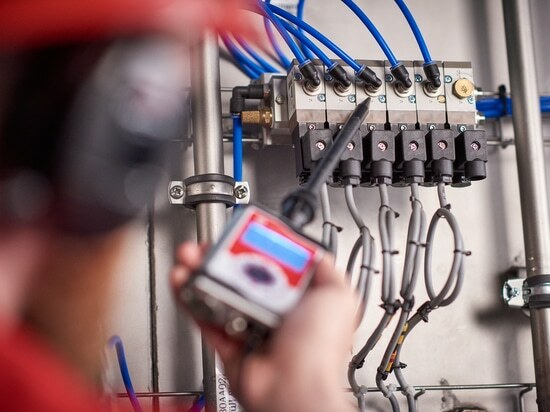 With just the touch of a button, the service engineer initiates the measurement and automatic analysis of the leak, and the loss in volume per minute is displayed to them immediately. Additionally, the device will rank the leak in a class from 1 to 5 (1 = small leak, minor loss [green]; 5 = large leak, very high loss [red]). 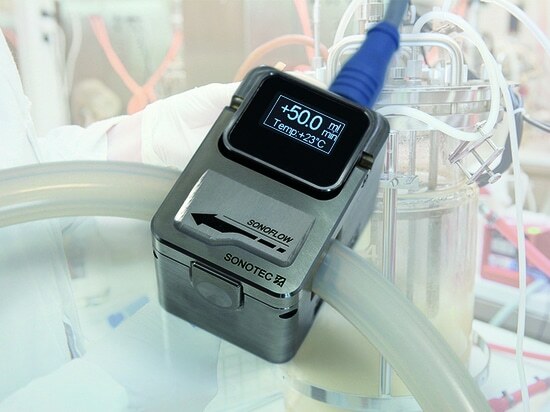 This evaluation process is based on a procedure patented by Sonotec. 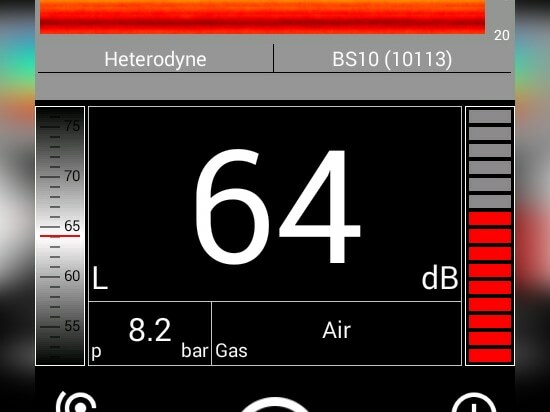 The extensive documentation support embedded in the new SONAPHONE is another advantage. Upon completion of the measurements, a full report including photos can be generated and exported by the user. 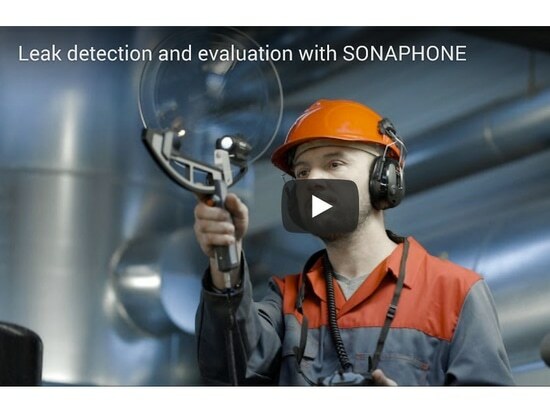 With the new SONAPHONE and the LeakExpert app, leaks on compressed air and vacuum systems and other industrial gas lines can be detected and automatically analyzed with pinpoint accuracy. 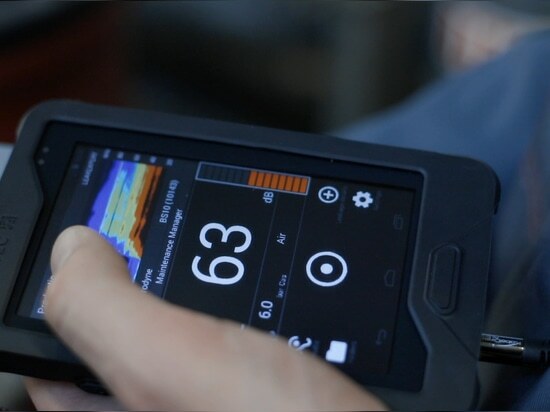 The multifunctional device with touchscreen processes the ultrasound signals directly. A report can be generated quickly and easily and used as a decision-making tool for follow-up actions and as proof of success for your energy management program. With a single click, the documentation of the results is available for management, with comprehensive information about the precise location of the leak, the energy loss, a photographic record and the priority level of the repair. By standardizing the process to search for and evaluate leaks, the device contributes to significant time and cost savings in maintenance. Error-prone paper records are a thing of the past, since all data can be evaluated and updated directly in the device. Leak at a compressed air line in the same steel factory. The leak was identified with a frequency of 68.5 kHz, which was above the background noise that originated from the machines in the production area. The leak could be easily detected with the broadband technology. 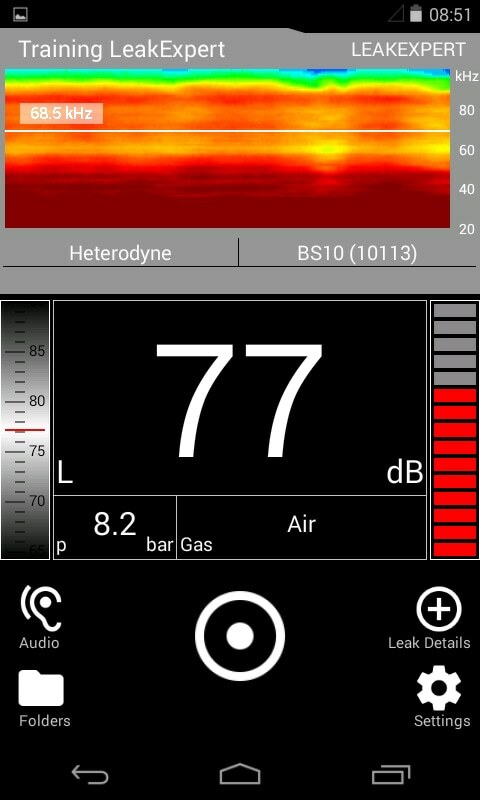 Typical ultrasound environment in a steel factory with background ultrasound emissions from the machines in a frequency range of up to around 50 kHz can make leak detection difficult.